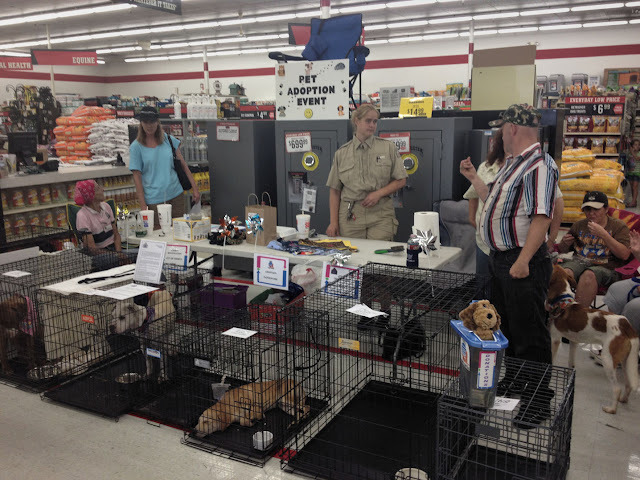 Saturday, the Terrell Animal Adoption Center had an adoption event at the local Tractor Supply store. Cilla, in the middle of the picture in uniform, along with her team of volunteers brought 8 dogs to the store. While hoping for an adoption or two, Cilla said she wasn't expecting anything. They didn't have time to publicize the event. By the end of the four hours, I think Cilla said they had two dogs get adopted! The Center will hold adoption events every third Saturday at Tractor Supply in Terrell.